Adjacent to downtown Richmond, the Fan contains one of the largest collections in the U.S. of intact Victorian homes from the early 20th century. 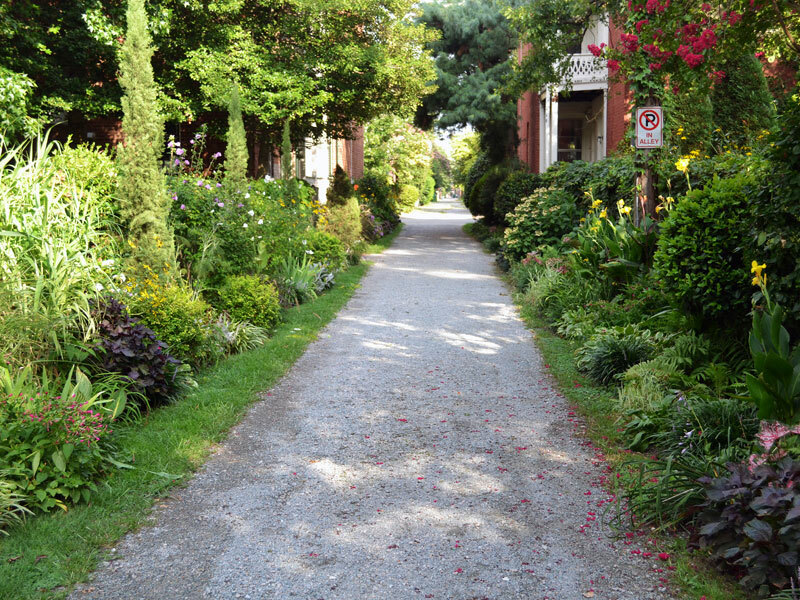 The neighborhood has remained largely unchanged, with a grid of short shady streets lined with historic homes that creates a pedestrian friendly atmosphere. The neighborhood's name, "The Fan," reflects how certain streets physically fan westward from Monroe Park to the Boulevard. Bounded by Monroe Park on the east, Boulevard on the west, the Main Street Alley on the south, and Broad Street on the north. Granby Alley. Photo by Calder Loth. 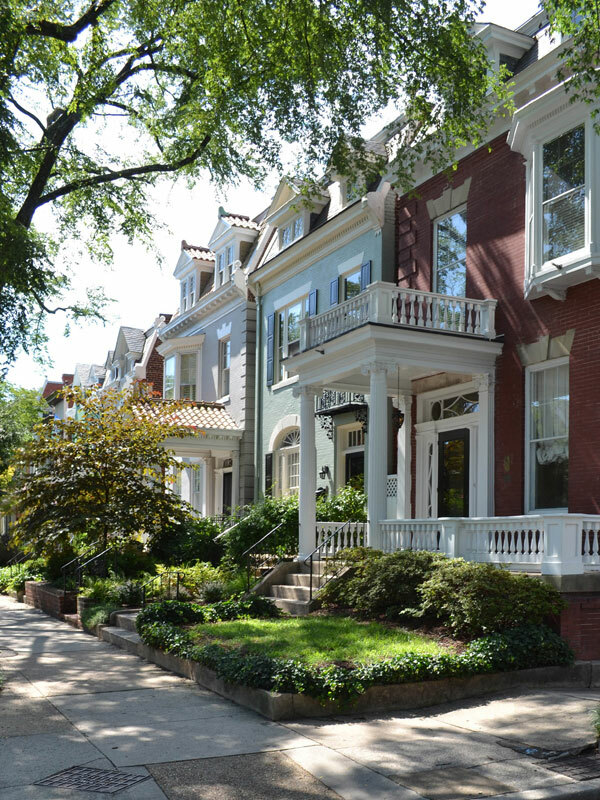 The neighborhood is most famous for its architectural cohesiveness and variety. 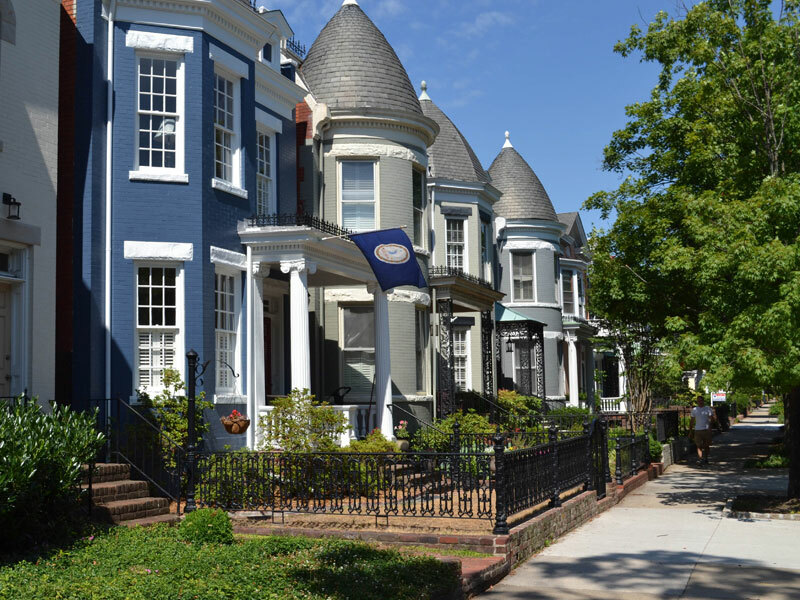 There are two historic districts listed on the Virginia Landmarks Register and the National Register of Historic Places; the Fan Area Historic District and the Monument Avenue Historic District. The Fan is primarily a residential district composed of side-hall-plan townhouses designed in a variety of styles including late Victorian and early 20th century with uniform heights, materials, setbacks, textures, scale, compatible landscaping, and uniform planting of trees. Homes along Hanover Avenue. Photo by Calder Loth. Homes along 1800 Block of Hanover Avenue. Photo by Calder Loth.